I have always been a realist. Never the dreamer. Someone has to keep things running, right? We can’t all sit around singing! Hello? I could use a little help here, Mary …? Jesus, she only listens to You, tell her to help me! Poor Martha. I can so relate. But …. deep down, I long to relate more to Mary. Because Jesus was very clear that Mary had chosen the better way. And I want what pleases Jesus. But what does that really mean? Jesus could magically make food appear on the table, right? 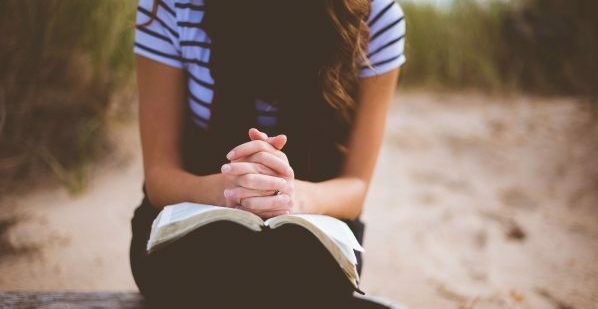 Should I then neglect feeding my family in favor of Bible study and prayer? Of course not. How often do we also get things out of order. We put the activities, before knowing God. We start with our to-do list when we need a journal instead of a planner. Actually maybe we really only need our Bible! It’s the motivation that makes the difference. Just before Jesus was welcomed into Martha’s home, He was confronted by a lawyer who asked what he needed to do to inherit eternal life. Jesus gave him the main course: love God first, show compassion to others next. A simple two-step process. A simple order of God first, others next. With the common thread of love. LOVE God first, LOVE your neighbor next. LOVE is the only motivation that will produce lasting results from our actions. Mary had things out of order. She was focused on what needed to be done. Her focus needed to shift to the why, a love for God that produces a love for others. And it’s a matter of trust. Trust is so many times the issue for me. Trusting when I put my relationship with God first, all else will fall into place. When I make time to be alone with Him, not distracted by all the things I think I need to get done, only then do I have my priorities in order, and all the things I truly need to accomplish, will get done. God created us. He created our days. He created 24 hours in each day. He created our bodies to need sleep for a large part of those 24 hours. He created a need deep within us to connect with Him during those 24 hours. He doesn’t force it. We can choose to either ignore Him, or embrace time spent with Him. Because out of our relationship with Him flows our motivation to act.